Reveals the hypocrisy of American society. Brutal and true. A movie which depicts the human desire to perceive ourselves as morally good and kind-hearted creatures. Ironically, sometimes we are willing to commit morally questionable acts in order to prove this point. 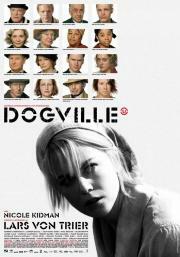 Dogville brings this theme to the highest level imaginable. If you ever thought about why people hurt each other so much in the name of good, look no further. This movie is your answer. Showcases Von Trier's typically bleak view of humanity. Interesting choice to present it as a play, but I do take issue with the shaky handheld camerawork, the somewhat overused tragedy tropes (plenty of parallels to be observed with his previous work "A Dancer in the Dark" as well as Tornatore's "Malena") and the long runtime though. Sep 11, 2018 Beyza O.